The Upper Peninsula of Michigan and Wisconsin always remind me of Vermont. There are no mountains here, but the abundant scenic byways, small towns, and long stands of forest are comforting. Except for a few minutes of highway construction in Green Bay, the drive from De Tour Village MI to Sturgeon Bay WI was easy and quiet. Along the way we stopped in Escanaba to snag a few pasties for lunch, and before we could get out of the car we were visited by two enthusiastic Airstreamers-to-be, who exclaimed “We’ve been following you for an hour!” At first I thought this might set a record for aluminum stalking but really they were just heading the same direction along Rt 41. By the time we all pulled into the parking lot at Dobber’s Pasties they had figured out who we were, and we had a nice chat before going inside to get lunch. Pasty, by the way, does not rhyme with “tasty” although it should. They’re like calzones on the outside, but without tomato sauce on the inside. Instead they’re filled with diced potatoes, meats, cheese—all kinds of things depending on which type of pasty you choose. Unfairly, the name rhymes with “nasty,” but let’s overlook that. They’ve been beloved by Yoopers for generations. 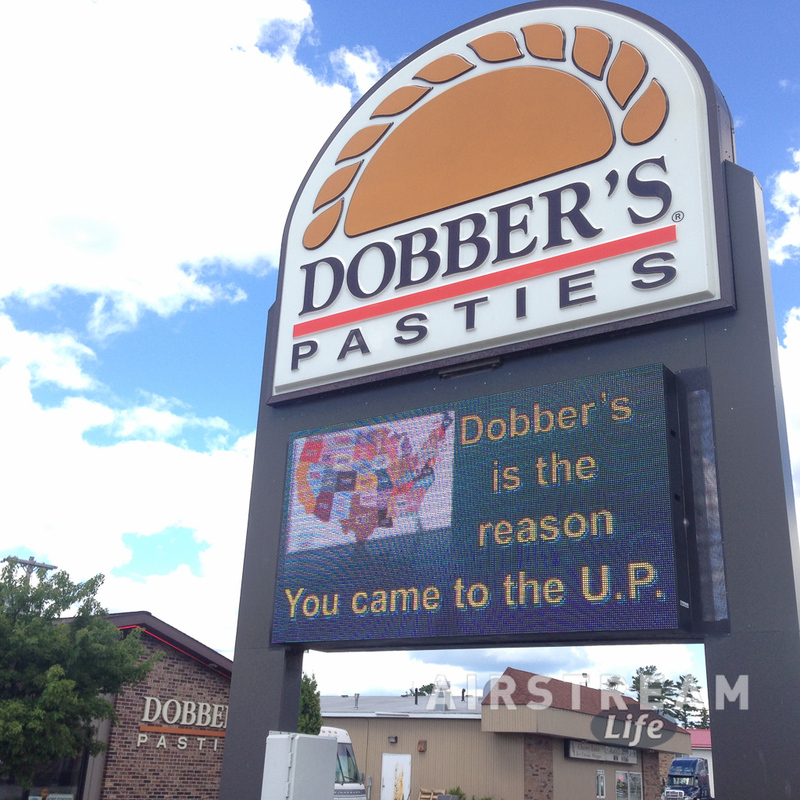 We get them whenever we are up here, and clearly from the sign (above) Dobber’s knows it. The trip plan I posted in yesterday’s blog shows that this dip down to the Door County peninsula is a pretty big detour. We’re doing it for our kid. These days there’s a lot of fear about the perverts and weirdos who kids might meet online, but our experience has been different. Emma has been videochatting online with some pretty cool kids for a couple of years now, and we vowed that we’d make the necessary side trips so she could meet them in person. We met Hannah in Indianapolis on our way to Alumapalooza, and now we’re here to meet Emily from Sturgeon Bay. Both visits have been spectacular successes. The parents are always a little skeptical at first, which is natural considering what they’re faced with. A strange family that lives in a trailer and wanders the country like gypsies is going to drop in for a visit? Imagine what would go through your head. Lock the doors, keep an eye on their hands, and make sure the ammo is dry, I expect. But all the parents have been great, quickly seeing that we’re only a little weird, and the girls always have a great time. 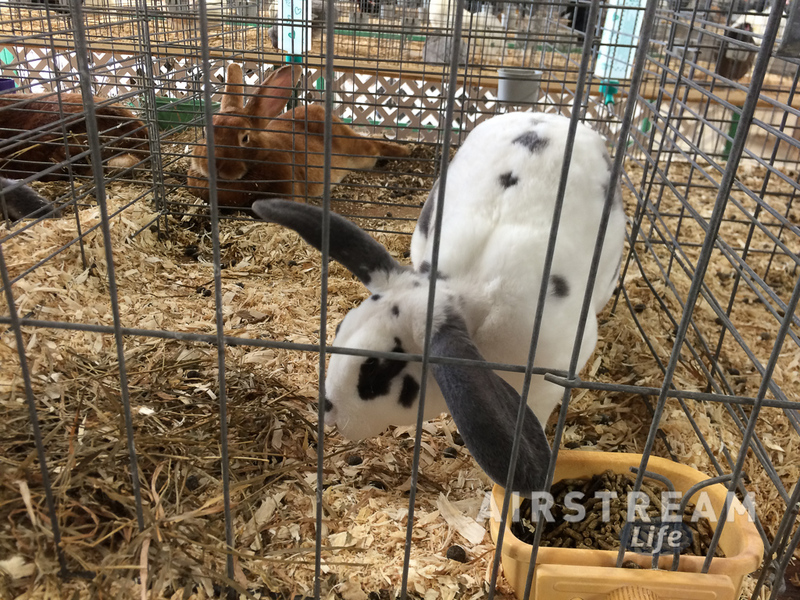 This time we met them at the Door County Fair and spent a couple of hours on the classic fair rides, and checking out the 4-H exhibits of poultry, rabbits, horses, and an amazing array of baked goods (which inspired me to get back to bread baking when we get home). 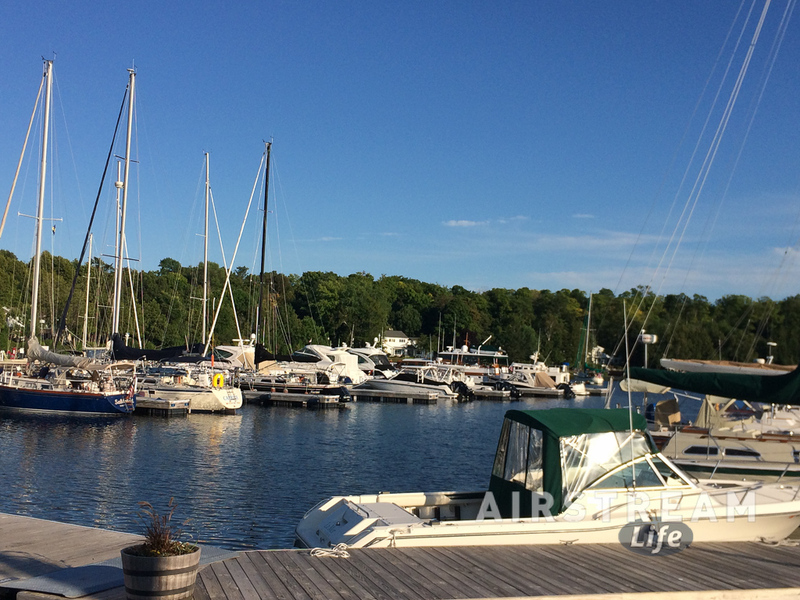 While the girls were hanging out, Eleanor and I had a chance to roam up the peninsula to Egg Harbor and walk the town and marina. We were surprised to see the population listed at merely 201 people. It’s a small town, kind of like an outpost on Martha’s Vineyard. Tourists outnumber the locals by a fair amount. I was expecting something bigger and more touristy. It’s actually nice to see that much of Door County is quieter and smaller than I expected. OK, having seen more of the countryside I can see that it’s definitely different from Vermont in a lot of ways (we don’t have cherry orchards, for example), but there’s still a nice country vibe. My one suggestion to Door County: get rid of the billboards before they take over, like Vermont did in 1968. We like Door County enough that we have decided to spend another day here, roaming around and picnicking at one of the sandy beaches, before resuming our northern trek through the national parks. Tomorrow we’ll head back up and spend the next five or six days around Lake Superior. and don’t forget to get some Spotted Cow beer before you leave Wisconsin; it’s not available outside the state.